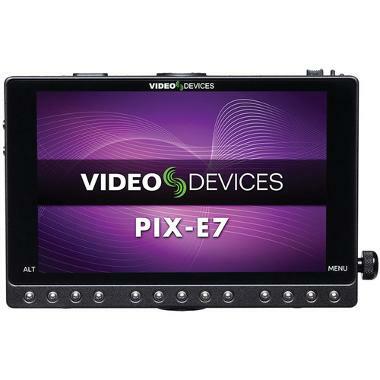 The Video Devices PIX-E7 7" 4K Recording Video Monitor is a powerful recorder in a compact size for use with small cameras and camcorders. 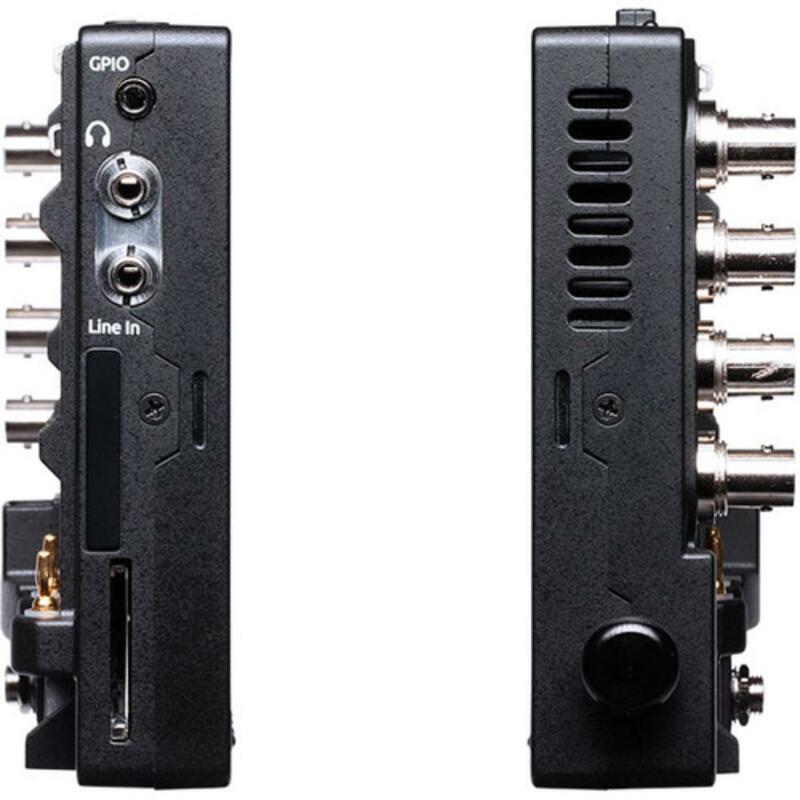 It can record audio from the digital or analog inputs and has the option of accepting an optional XLR audio mixer that can screw into the bottom 1/4"-20 tapped hole. 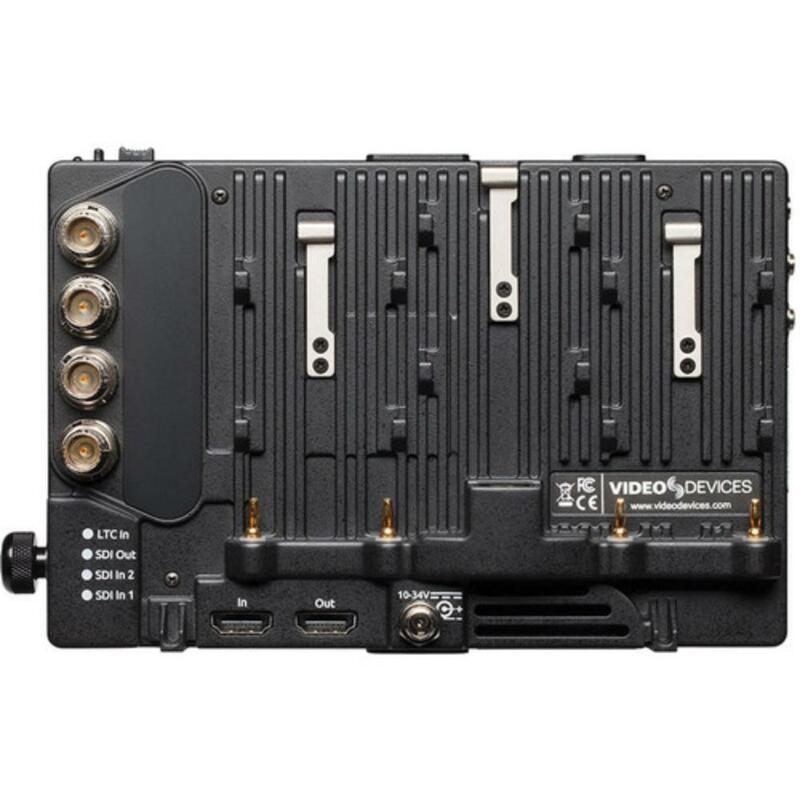 It can record 4K footage from HDMI or uncompressed 1080p from SDI. HD footage can be recorded at up to 60 FPS. All inputs have loop-through so that another person on set and view footage on their monitor. 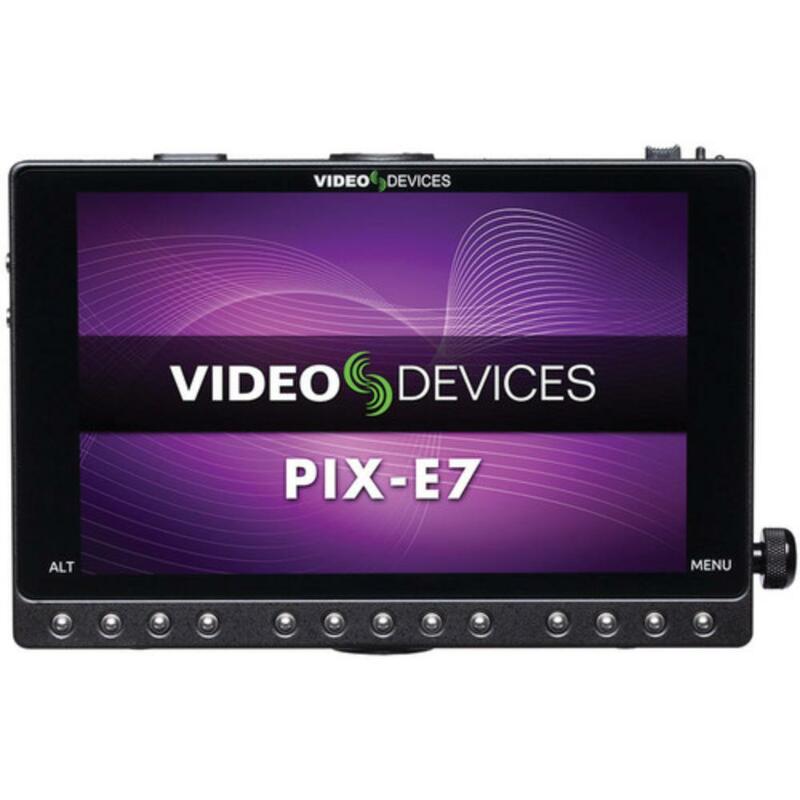 The Video Devices PIX-E7 7" 4K Recording Video Monitor features both touchscreen and classic rotary methods of settings control. The SpeedDrives (rentable separately) are special housings for standard mSATA media. Simply plug the SpeedDrive into the recorder and offload footage from it to any computer afterward with a convenient USB connection. This recorder comes with a NP-F970 battery but will also accept external broadcast-style batteries (not included) via a DC connection. 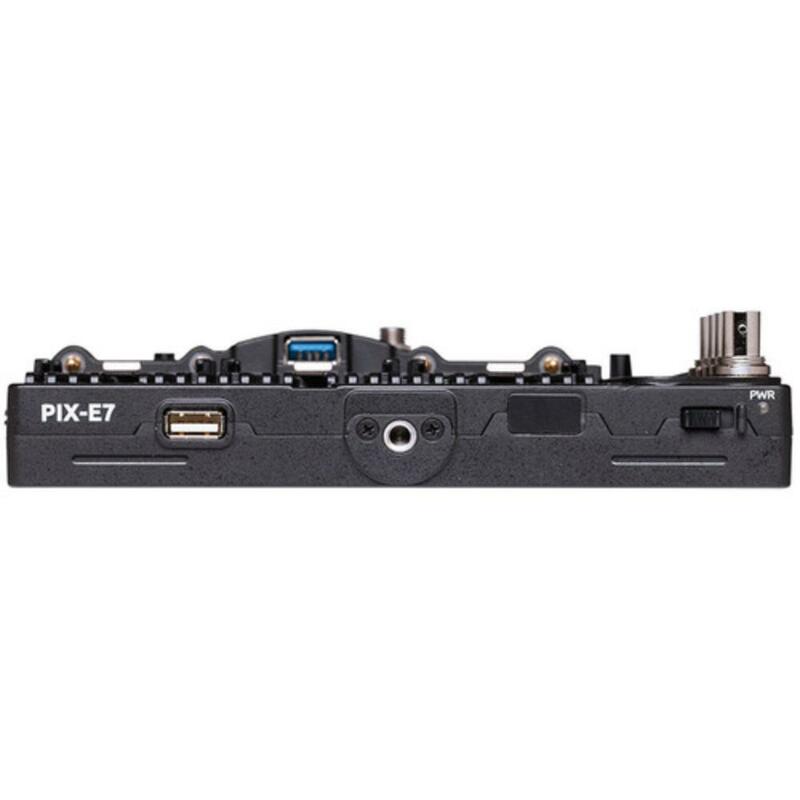 The PIX-E7 will continue to operate even when switching power sources. This monitor is good for experienced videographers of events, narratives, and documentaries. • This monitor won't take 4K signal from cameras that only output 4K in RAW format, such as the Canon C300 Mark II. • This monitor accepts SpeedDrive memory, which are mSATA drives inside a custom enclosure. They plug directly into this monitor. They have built-in USB 3.0 for fast offloading. They are not included and are rentable separately. • This monitor is powered by Sony NP-F970 batteries but can also be powered with broadcast batteries (not included) via a DC input.